Probloggers and authority sites don’t hate guest posts like you may want to believe. But there are reasons your guest posts are sure to be rejected on their websites or blogs. These guys are human; they have catalogs of issues to attend – they need to attend to their teeming readers, customers, family, other businesses, and also attend social functions. So sometimes they are overworked and need time to rest. Your guest post would go a long way at enabling these bloggers observe their siesta. They don’t have all the time in the world to do everything including writing daily posts for their blogs. That is where you as a guest poster come in. They need rest, yet they also need to update their blogs. So who should update the blog at that time of need? It is you of course! So why think they don’t love your offer? There are certainly some reasons your guest posts are sure to be rejected even at such time of intense need. We shall find that out later in this post. Now the question is, does it mean your post does not meet any of the afore-mentioned needs? There is certainly a reason why the blogger would gladly accept your offer because there are at least 5 needs I have identified, one of which your article should take care of. Unfortunately, there are reasons your guest post are sure to be rejected even in the midst of problems begging to be taken care of by a guest blogger. Once we can identify these reasons, your dream of having your guest posts approved with speed on any website would come true. Why your guest posts are always rejected? Every blog has set rules for anybody who wishes to submit a guest article to it. The rules for blog A are different from the rules for blog B. Every guest author is expected to abide to the rules. It is because they are the ones who are desperately in need of help. The host blogger owns the blog, pays the bills, drives traffic, built the blog reputation, etc. You are just looking for a ready-made place to help improve your blog reputation and increase traffic. So you are to play by the rules, not the other way round. Remember the site you are approaching already has reputation. It has maintained a quality that kept its readers visiting on regular basis. The fact the site owner is busy doesn’t mean he should accept junk for his readers. It is better his site is not updated for weeks than to provide poor quality that would drive away his readers. When you present a hastily assembled article that is laden with grammatical blunders, incoherent sentences, etc, what should you expect? That the site owner should accept it out of pity? Of course, you should know better. To avoid this trouble, find time to write quality piece, with extensive research and reference links, and something highly informative. No blogger would ever reject quality content that should benefit his audience. There is nothing as embarrassing to a blogger than a situation where he discovers that the content submitted as a guest post on his blog has already been published elsewhere before it was submitted to him. One may find oneself hooked in this web if one doesn’t have the time to do a copyscape check on an article before publishing. Some smart guest bloggers (so they thought) had submitted articles to me, only for me to later discover they had been published elsewhere. So one reason your guest posts are sure to be rejected is because they are duplicates. Google frowns at duplicate content; webmasters/blog owners frown at it, and even readers also frown at it. Do you ever submit a sponsored post to a blog owner and tell him the post belongs to you? Somebody submitted one to me recently and told me to provide a link back in the body of the article to a particular website. He said he was a content writer without a website. But I couldn’t just understand why the insistence of providing a link in the content when he said he didn’t have a website. He only tried to make me believe he was writing as a content writer on that site and that he needed exposure. In that case, I felt a link in the Bio should do; but he insisted and I had no choice but to let him go with his article. It was obvious he was writing for an SEO site because I did a whois check on that. If you try to lie to a blogger in order to get your sponsored post published, he would do his little research and discover the truth about the site owner and every other information he wants. The next thing is to throw away your article for trying to present a deceptive front. So try to be plain to the website owner if you are writing on behalf of a third party and leave him to make his decision. Chances are that he might publish your work if it is good enough. f you were the blogger, what would you do? Leave the links or bring this to his attention? Unfortunately, these are spelt out in the guest blogging rules on the “write for us” page of many of the sites. This automatically disqualifies your post. Like I mentioned at the beginning of this post, bloggers are very busy; so most of them don’t have the time to proof read your article over and over again. They don’t have the patience to begin to try to reformat the content you formatted poorly. To save their time, they just dump the article in the bin. You can see it is not the fault of the blogger that your posts are not accepted; it is actually your fault. If you avoid those pitfalls, the blog owner would jump at your offer because it has something useful for him and his readers. But poor formatting is one of the reasons your guest posts are sure to be rejected. Provide the quality a blogger wants in your content, follow the set rules, be sincere while presenting your offer and you are sure to get your guest posts published on even the best of blogs and websites. Efoghor Joseph Ezie is a Freelance writer, blogger, author and business manager. Efoghor loves writing a lot, especially about small business, blogging, SEO, Social media and affiliate marketing. Efoghor Joseph is the owner of http://www.bizsuccessguide.com ; so you can visit his blog if you have the time. Efoghor has written 1 awesome articles for us. Good advice, Efoghor, but on the other side of the fence there are times when I submit a well-written article, follow all the guest posting guidelines, and the blog owner doesn’t bother to respond. Doesn’t happen that often fortunately, but it is frustrating when it does. I do think that if a writer follows the rules, and quality content is submitted, blog owners should at least provide the writer with the courtesy of a response. Pretty good post. I just came by your blog and wanted to say that I’ve really liked browsing your blog posts. Guest Posting is a very time consuming Part because we just cannot write some crap on others blogs for getting links and traffic. I’m looking at guest blogging right now and learning the best ways to approach this method in order to be as effective as possible. Thanks for sharing your insights, I think I will take a step towards submitting some guest blogging proposals to a few blogs. Abhay, there is no need to doubt yourself; just follow the tips in this post and pitch your guest post to any of the bloggers you love to guest post for. You will certainly succeed if you try. The only thing holding you back at the moment is fear; just conquer it and go ahead. 6. Maintain a high standard: High standard is needed now to make everyone know what you stand for. What kind of guest posts should be accepted? What is the quality of post and word count to accept? How often should you upgrade? What kinds of back links should you build? All these are necessary in order to earn the respect your blog deserves. James, you’ve virtually said it all. High standard is the ultimate. This post would not be pulling the responses it has gotten if it were a poor one. When you guest post, be sure you are presenting one of your best works. People should see the uniqueness of your job and commend you. Quality must never be compromised if you want to make much impact in the blogosphere. Thanks for your contribution. Have a great and fruitful weekend ahead. Just created a new blog one month ago. Not started gust blogging yet. I will defiantly like all those steps when I decide to start gust posting for other blogs. I know gust blogging is most important now a days for increase traffic, ranking, readers and many more. Overall, I like this post too much. Thanks. Reaz, thanks for liking my post. I am happy to hear the post is really helpful to a lot of people, including yourself. Guest posts are actually helpful to you in several ways, and in order to increase your popularity and credibility fast, you need to guest post. 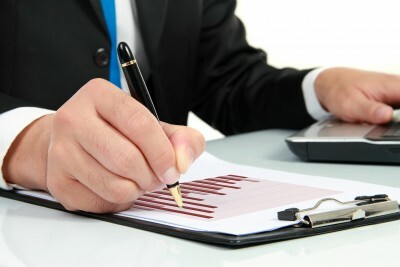 Following these tips would really help to minimize the rate at which your posts are rejected. Thanks for your valuable comment. Do have yourself a lovely weekend ahead. What a wonderdull post written by efoghor no doubts in this the reasons he had provided above definitely gonna keep this in my mind while writting a guest post and ya well said duplicate content will make our blog reputation down. Thanks a Lot Mr Joseph for sharing these article. Karan, thanks for your comment. I sincerely believe this tips would help you in writing guest posts in the future. It would be difficult for anyone to turn down your post if you play by the rules. Yes duplicate content must be avoided by all means because it is destructive to your self image. Google and other search engines hate it; even your readers also hate duplicate content. Abdul, thanks for your contribution. Our topic is actually about reasons why your guest posts would be rejected. It is true that bloggers accept guest posts in order to update their blogs. But whereby the quality of the post you submit to them is poor, it is likely your post would be rejected. There are other reasons your post could be rejected as well, including not obeying the rules of guest posting on the blog you are submitting your post to. As a site owner, no matter how busy I may be, I would not want to accept guest posts that do not meet my qualifications. I worked hard for my site and I don’t want to compromise or take a risk on it because of a poor or duplicate content that might ruin my sites reputation. Felix, you are quite right. A lot of blog owners think the same way you are thinking. It is not good to destroy the standard you have set for your blog over time, by accepting poor quality guest posts. If you care much about your readers, you will never publish whatever would not give them satisfaction and the right information. Most of new blogger read some where that is guest posting helps you in SERP and starting guest posting on other blogs but do not pay attention on guest posting rules and rejected therefore guest post. Before Starting guest posting newbie must read this post. Anna, you are totally correct. Some newbie bloggers are after links but they don’t have the time to check what the rules of the blog say. To get approved, one must read and follow the rules. 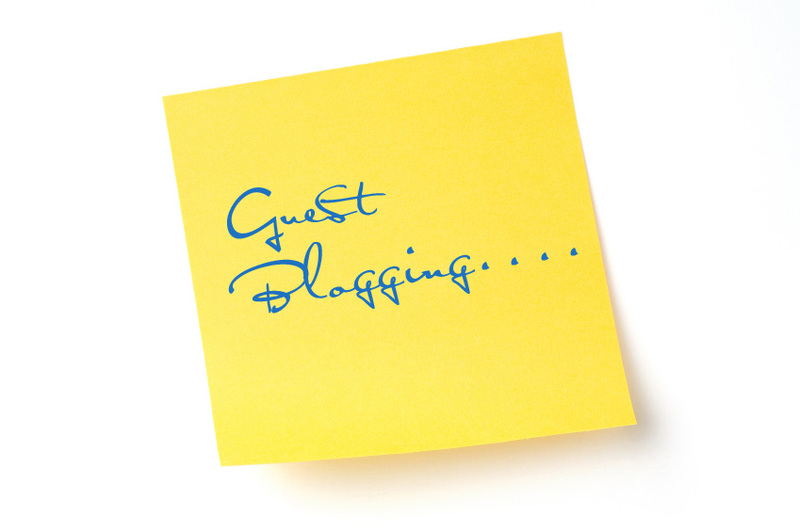 Guest blogging is now a days a way to get some link. After Google launched these algo updates, spammers have started to try guest blogging because guest blogging gives the best authority links. Prithvi, Thanks for appreciating this post. I am happy to know it was really helpful to you. Awesome post. I would like to point out deception because I think that this is the most crucial and gravest factor in rejecting a guest post. Not only will plagiarized content will ruin a guest bloggers reputation, but it will also destroy your reputation too. That is why each guest post must pass through Copyscape or some other type of software. Yesh, thanks for your contribution. It is true that plagiarized content destroys the reputation of both the host and the guest bloggers. It must be avoided at all cost. Guest post should be seen as an opportunity to showcase oneself. So every guest author should make sure he is presenting his best quality material and not what would dent his image. Great Info , and i do agree with your info. Actually which you have told us about the Guest posting. Really That’s fact and we need to after the writing the post. i always check and your post should be also in right format. Thanks to you for remind me about the mistakes in Guest Posting. Puneet, thanks for your valuable comment. Once you get the right things done, it would not be easy for anyone to turn down your guest post offer. Arbaz, thank God you discovered and corrected your mistakes earlier. So many of the blog owners are not dumb as some guest posters suppose. So instead of wasting your time writing what would be rejected, why not invest quality time to write quality post that would be published and add credibility to you? As I understand it Google is going to hit Guestblogging pretty hard in the future. There are industries out there, bashing out hundreds of guestposts a day as a pure seo-tactic. Why is everybody forgetting about the meaning of internet, sharing value. Nice post mate. I also was rejected once. Of course, that was my mistake as I had taken an article and rewritten it and submitted it on the blog. That was the first and the only mistake I committed when submitting a guest post. Apart from that all of guest posts have been published without any problems. In as much as guest posting is effective, lots of people are now abusing it. One notable question for anyone to ask himself is: will this post be helpful and beneficial to the reader? Khuji, thanks for your contribution. If a post is not helpful and beneficial to the readers, then it’s worthless publishing it on your blog. One of the best things with the comment luv system is that you have a ready made group of serious bloggers and blog owners who take the whole thing seriously and , quite rightly get annoyed when their precious pages are spammed by fake Vuitton bags or payday deals. I know how angry I get, askimet does its best but spam is endemic on the web and every blog is a likely target. Much of the problem of course is that idiots out there still believe that they can actualkly get google juice from spam postings, I dont think they do. Anyway I am a great fan of comment luv and use it across a wide range of blogs. David, it’s quite unfortunate some people think they can reap where they did not sow. And the best thing they want to do is to spam as many blogs as possible, but everybody is getting smarter too. Spam comments and poor quality guest posts are being rejected because they do not in anyway add value to the lives of those who read them. It can really be annoying and frustrating when after doing your hard work, somebody comes in to try to gain some recognition by tricks. Thanks for your contribution. Do have yourself a fruitful week. You are right about reject guest blog. But I have seen some guest blog which is awesome! Very nice content and interest explanation. Don’t be waste this type of post. QuynhLan, you are right. Our desire is to publish quality content for our readers. So if anybody presents quality post, it should be accepted and published. I am just thinking to write a guest post and you article help as the points you mention about the rejection of guest post are asking me to think again before writing the guest post. when you are rejected then it has negative impact on your way so I don’t want to be rejected. Again thanks buddy to reminding me what should be avoided for the acceptance of a guest post. Saleem, it is better to be rejected than have your poor quality content published to the world. If you are rejected, then you have the opportunity to go back to the draw board and make necessary changes to your writing pattern. But if your poor content is accepted and published, that would deal more harmful blow to your reputation. Ariful, I am glad to hear that the article is really helpful to you. I wish you the best. If the content is poor than it will definitely get rejected.It all starts with quality and meaningful content that would help others gain knowledge. Nikhil, that is correct. No serious minded blogger would accept poor content on his blog. So for a guest post to be accepted, the quality of its content must be good. Submit your post in any other blog really needs great effort. I think if anyone wants to submit Guest Post, he/she must sure about the site where he/she want to submit his/her post. As guidelines are important part of approval. Adhere all the guidelines as much as possible, if you don’t want to fail in you effort. Amit, you are right. It is good to know about the site you intend to guest post on. If you don’t, you won’t know the rules and what the audience want. Some bloggers don’t care to check the rules or know the people they want to send their guest posts to. I have been rejecting many blog post bcoz they are posting just for sake of a blog link ! They dont understand the value of readership ! Jones, thanks for rejecting what’s unhealthy for your readers. 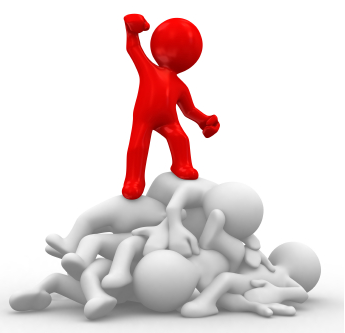 It is better to have few quality posts on your blog than have lots of junk dumped on your readers. The reason you gave here are pretty sure to reject guest post. People submit spam guest posts nowadays, I particularly dont allow on my blog. I hate spammers who just copy content and spin it. Guest blogging is not spamming. Vaswani, thanks for your observation. Only inexperienced, lazy bloggers who do not care about their reputations depend solely on copied contents. Those who care about their reputation would go the extra mile to satisfy their readers. Himanshu, Your discretion is highly advised. First be sure what website he is linking to, whether they are niche related; and also be sure he is not doing a paid/sponsored post. Do not accept if the link is to a products or sales page. You may accept it if what he presents to you is of high quality. But to be frank, it is you who decides what you want for your blog. I periodically do a post and give out “Do follow” links to the people I reference, but some people don’t. But you must realise that Google frowns at giving a “Do follow” link to somebody who blogs just to get backlinks. Thanks for the comprehensive article. When i set my first foot into guest blogging to gain some exposure, i found very hard time in getting my posts published. Basically i had bad grammar and copied a few sentence from various sources back then. Thanks for these tips. Gautham, thanks for your contribution. A lot of newbies make those mistakes because they are desperate to succeed or make money. But as they become more experienced, they begin to understand the importance of credibility and the need to present their best content to their readers. Thanks buddy for this post..
Well, i have not started writing a guest post on other blogs.But I have gained lots of tips from your article. If someone asks me, he wants to do a guest posting on my blog for just Backlinks?? Hi Efoghor, You have written great post here. Anyway can you explain me how to get guest writer or how to attract blogger to submit guest post? Vin, thanks for your comment. It is not hard to get guest posters as there are a lot of people looking for that opportunity right now. All you need do is create a “Write for Us” page and state the rules you wish to apply for guest posting. Your visitors would see the page and those who want to guest post would also know you accept guest posts on your blog. But if you want speedy submissions from different people, then you may check out guest posting sites like myblogguest, bloggerlinkup, postjoint, contentblvd, etc and request for guest posts on your blog. Some of them require your blog must be at least a PR2 to be accepted. But remember to check for quality on the posts you accept. Totally agree with the different reasons.. now I know why some of my guest posts are being rejected..
Nhick, thanks for reading this post to the end to know why your guest posts were rejected in the past. That’s exactly the idea behind the post – to help guest posters know why their posts are always rejected. I believe following the suggestions in this post would really help your guest posting work. its nice to see you here, all you points are valid and these are some of the resons I reject some guest post on my blog. Joseph, thanks for stopping by and for your comment as well. It’s good to know my post is making some positive impact on my readers. So glad to hear you are featuring my post on your weekly roundup, Joseph. I am so thrilled people like you are giving some of my posts recognition. I believe very soon, not only my posts would be featured on blogs, but I would also have opportunity to appear on top blogs and share experiences with different communities. Your good gesture is highly appreciated. Do have yourself a great and lovely week. Informative Post and i am totally agree with you that Guest posting is not easy and which you have shared your post with us. really its energetic for me and thanks to tell me about it .. keep doing well.. Thank you Puneet for your words of encouragement. Guest post is not too stressful; it only requires a little more extra work to do. Writing a guest post and writing your blog post require the same research and quality writing; the only difference is having to reach out to quality sites to pitch your post. All the same, the time invested in guest posting is worth it because of the long term result you stand to get. I am agree with your this point. 1. 99% of them do not follow the simple rules I have implemented, my rules are much more flexible than other blogs yet people still don’t seem to be able to abide by them. but not with second ! Shiv, the reason a lot of them don’t find it easy to abide to your rules is because some are always in haste to dump their articles and go away; they never really have the time to check what your rules say. A genuine, serious blogger would take the time to read your rules so he would not violate them because his integrity matters to him. Everything boils down to selfishness on the part of the guest poster. Sometimes, some read the rules, but they want to see if they could manipulate you to get their posts approved because they actually have made up their mind from home on what they want included on their posts. If the rules say don’t add any links to the article content, why still try to see if the host blogger would overlook yours? The rules apply to everyone. Guest posts is a method for bloggers. But now companies use this. One day Google will ban guest posting permanently also. Guest authors should take care of rules provide by bloggers. Gagan, you are completely right. When a thing becomes abused by a lot of people, it stands the risk of being banned. Guest post is supposed to be a way of building relationship with a new audience, but so many people now abuse it for their selfish gains. I pray it doesn’t get to the point where Google would think of banning it. Jessie, Google hates duplicate content; humans also hate it. It won’t make any sense for you to read the same content over and over again on different blogs. Sometimes, it is acceptable to present a topic already written before and add new information that makes it richer. But saying the same things over and over again is completely unacceptable. The two points above Dean makes basically sums it up. Some guest posters get their posts spun by someone else and then offer it to anyone and everyone; once it’s published they have their links up and that’s it for the day. This just isn’t on – it’s arrogant and selfish. These days Google are doing wonders for the internet, frankly, by implementing the need to have good quality content in your guest posts. Nail that and then there won’t be any problems. Morris, you are quite right. A lot of bloggers don’t have the time to write quality articles for their audience. Several articles get recycled and published without adding a new voice or new points to them. This is unhealthy for the blogosphere really. Sinha, thanks for your comment. Remain blessed and keep enjoying your blog. Of-course you are right. To apply for the guest post, every blogger’s blog should have some rules & regulations. We have to read the rules more than a time, before applying for guest post. By Guest Posting, we can get lot of advantages, if the posted article is good, you can get more comments from your reader, you can get more backlinks, you can also get more readers for your blog. For getting all these advantages, a guest poster should have to think about the article, he/she decided to post as a guest post. Yes Anandh, there are numerous benefits that one stands to get from guest posting, including the ones you just mentioned. The easiest way to build your popularity is to deliver quality content on the sites you are guest posting on. After reading this post, it would be easier for you to remember who Efoghor Joseph Ezie is, because you’ve read my post and even left a comment. That leaves a lasting impression of me on your mind. When you write poor content and post it on another person’s blog, it would help to destroy your image in the sight of the readers of that blog. This is why we must be careful what we present as our guest posts. Saliba, i think that is a very good question you just raised, disappearing guest poster. i think its even for the guest poster’s advantage, unless he/she is not the owner of the post. Because i don’t see reasons why you have to run away after posting. Saliba, i believe they all have email addresses right? maybe you should try and get to them because it’s so embarrassing on the owner of the blog’s part. Well am still looking forward to start one myself. Asaolu, thanks for your comment. You are right. Responding to comments is to the advantage of the guest poster. But like you observed, a lot of things are happening these days; some people even hire someone to guest post on their behalf. So the writer could disappear after he feels that his assignment is concluded. This is very true Joseph, I rejected about %99 guest post to my tech blog previously when it was still very much popular but have to use free hands these days ‘cos My niche have broadened to accept much more categories. I also changed few of my difficult rules ‘cos of the recent changes we did in our tech zone, moving all low quality articles to a brand new domain. Obasi, it’s nice to see you here. It’s okay that you have moved all low quality guest posts to a new domain. But what happens to the quality of that new domain? How would it be perceived by your visitors? What also happens to the permalinks? I think they should have been re-written to improve their quality and keep their permalinks. 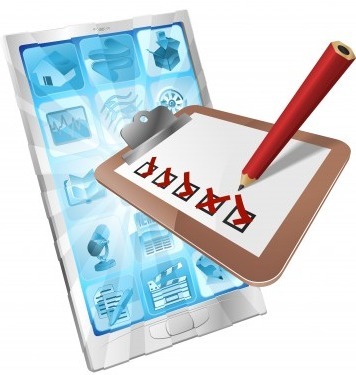 Your site quality was high and respected because you kept to delivering high quality content. But if you dilute it because you are expanding, your site reputation might take a dip. So be careful how you are doing it. I believe your quality should even increase now because you are moving toward being an authority in your niche. At this stage, people would do all that is humanly possible to get published on your blog. Readers would come because they believe you’ve got what they need. So don’t reduce your quality. You can still accept guest posts without diluting your content. Great to see you here :). I have unique experience about it. I think there’s a time that each host blogger has their own taste. I ever have rejected by one blog then get accepted in the other for the exact same draft. I don’t submit it at the same time though I just wait the decision from the first blog then (after being rejected) I submit the same draft to the other. After few days I get accepted on the second one. Its real … so I think its about the taste of the host blogger. Okto, thanks for sharing your experience with us. All host bloggers don’t have the same taste and audiences. They also don’t apply the same rules. That is why it is important to always check what is applied on a blog before submitting your post. Some host bloggers allow backlinks on the content to your blog while others reject it outright. So read the rules carefully to see if they allow your kind of post. Nice points Egopher. These are some basic reasons. I agree with Dean’s points, most of the time bloggers or guest authors don’t reply to the comments. Tarun, thanks for your comment. Well the right spelling of my Surname is EFOGHOR. Yes, it is unfortunate that some guest authors don’t reply to comments left on their posts. The reason they do that is because they don’t know that responding to comments helps to build their relationship with the audience they are posting to. * The pitch email did not tell me anything but a title. Nothing about who the author was, what the article would be about. Nothing. * I asked for more information. From the follow up email, it was clear that the author was just looking for backlinks – the domain they wanted linked to was spammy to me. * The sample articles that they linked to were short and badly written, and had nothing to do with what I do on my site. * The author had no interaction at all on my site. I am much more likely to trust that you will write an article that fits my website if I have interacted with you before. This was just a specific example. Yes, we are writing guest posts because we want to grow our audience, but there is no need to be spammy about it. You will get the best result for your blog if you guest post on blogs that are related to yours anyway. Carlie, thanks for stopping by and for leaving your great comment. Your contributions have also added some nice points to this post. Pitching without an intro is one of the reasons why a lot of guest posts are also rejected. The host bloggers have no time to try to figure out what you may have in mind; it is your responsibility to introduce the topic and at least give him an insight into what the post is all about. Yes, it is quite true a lot of those guest authors want to link to poor quality sites and even provide spammy content as their posts. Some of the sites some want to link to do not have an “about” page, contact details or contact form, etc. They just seem not to exist. It is nice to at least have some relationship with the owner of the site before pitching a guest post. You can only build relationship by visiting his site and making useful comments or by being available to help others with their difficulties. Once you are active, the site owner would take note of you. Thanks once again Carlie; do have a pleasant week. I so agree with your reasons why many guest posts are rejected. Although I haven’t started guest posting myself, but I do get lots of guest post offers that I reject and there are lots of reasons for that. As you rightly mentioned, if the content is duplicate, not grammatically correct, formatting is not proper, content isn’t what would you like or that would match up with your blog or readers (this is another reason), or you’re cleverly trying to add too many links within and deceiving the blog owner, and most importantly not following the guest posting guidelines – then your post surely won’t get approved. I do this mainly so that the blog readers don’t see a strange face, and then the relationship is easier to build with such bloggers, and I know for sure that such guests are true and will always be around, even once their guest post is published, unlike others who just guest post to leave their links and are never seen again. Harleena, I will never cease to appreciate you for the great support anytime, any day. Thanks a million for your observations and for the great points shared here. You are absolutely correct and I really love the points you added. It is good to invite regular readers of your blog to guest post on your blog. In this case the tendency to spam, provide poor content and the act of deception would be minimized because of the fact the author is a part of your community and he is already known by all and sundry. He would be around to face the criticisms and bullets that his poor content would generate. Guest blogging truly helps to build new relationships. But like you rightly said, the choice is ours as to the type of relationship we want to get from our guest authors. Thanks once again for your contribution. Do have a wonderful and productive week. I am newbie and till now i haven’t write a Guest post. these Points surely help me to not rejected by someone. Thanks for such a good stuff. Gautam, thanks for your sincerity. 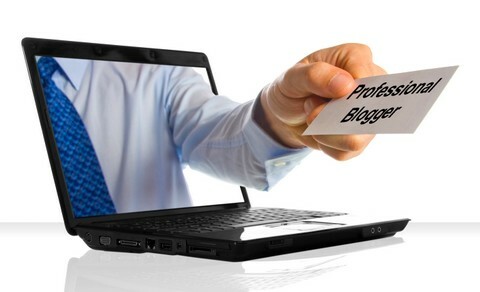 You are a newbie today, but you can become a problogger in the future. You have taken the best step first by becoming a blogger. The next step is to learn what makes some bloggers greater than the others. Guest posting is not as difficult as most of us think. Just know the basic rules and follow them. 2. Authors have their posts published and then disappear into the night and leave me to answer the comments, a lot of the time it will be about things I have little knowledge about. I’d love to hear how people deal with disappearing guest poster. Do you delete their post? Dean, Thanks for stopping by and for being the first person to leave a comment. You are quite right. A lot of bloggers are just seeking for opportunities to generate backlinks and so, it is easy for them to fail to read your guidelines because they are always in haste. It is unfortunate they have to leave the comment for you to answer. This is also because they never care about their readers. One of the reasons for guest posting is to get to know a new set of audience, and the best way to build relationship with such audiences is to show them how much you care about them by responding to their comments and questions. I have written for some authority sites and I find time to respond to every question or comments left for me. Recently my post on Comluv hit over a 100 comments, yet none has been left without response from me. But I must confess that when I did not know the rules of guest posting, I made the same mistake of not responding to comments on my first few few posts and I still regret doing so today. I wouldn’t advise you to delete their post if they fail to respond; rather, you should try and contact them to let them know why they must respond to their readers’ questions and comments. Deleting such posts would leave some dent on your blog’s reputation. Tan, thanks for sincerely expressing your feelings. It can be frustrating when guest posters fail to abide by the rules of your blog and then make you feel guilty for not approving their posts. It would be nice idea if you shared this with your audience. Thanks for your contribution. Same here bro. I also have rejected many guest bloggers posts. Main reason for that is, they haven’t read guest posting rule page. As well as they couldn’t find what my audience want. There is no pointing in publishing unwanted post as well as poor content. As bloggers, we need only high quality + unique posts as guest posts. Raplus, I am glad you know what your audience want and that you are prepared to give them nothing short of that. Adhering to quality standard is one good way to improve your blog reputation. If you have rules in place for guest authors, be sure the rules are respected and that your audience get quality for their time. Bloggers should at least strive to add some good content to what they present to their readers.